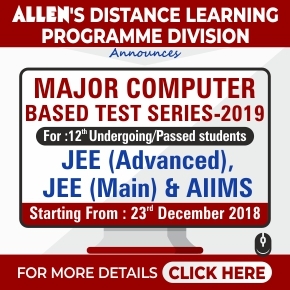 Allen Career Institute is one of the premier coaching Institute of India to provide quality education to the students along with cultural values. 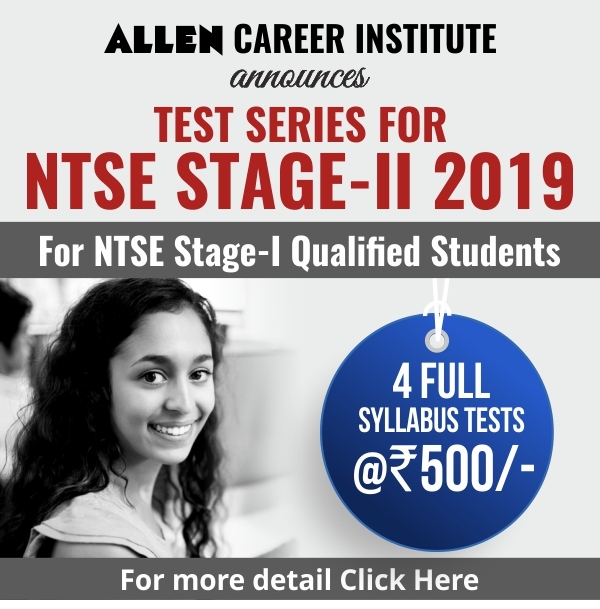 Allen career institute not only delivers superior quality education but also teach the students to become a responsible citizen of the country. Few months back Allen Career Institute started a mega tree plantation drive to make Kota a green city. In this drive about 100,000 trees were planted in the Kota city. 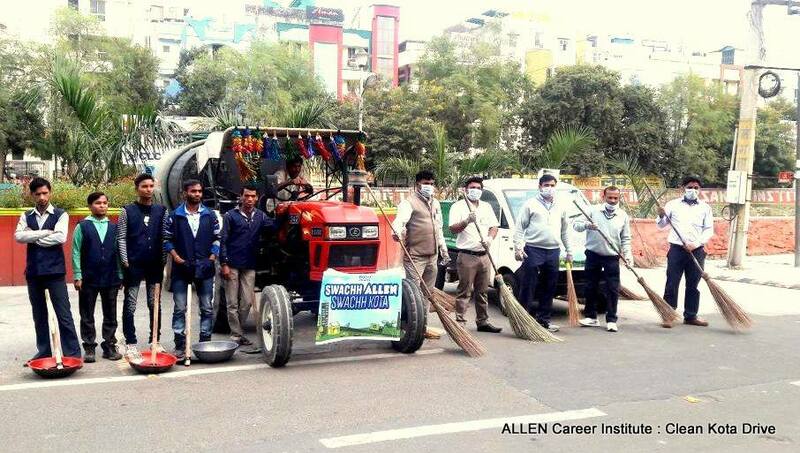 Once again Allen Career has come forward for a noble cause and has started a Mission “Clean Kota Drive” under Swachh Bharat Abhiyan of central government. For the cleanliness mission, two teams of 15 people each have been assigned who would be responsible to look after New Kota and Old Kota. They will be dedicated full time to clean the surroundings. 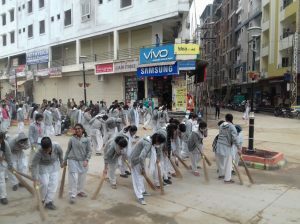 Along with this students of Allen Career Institute will come forward on different days to be a part of this campaign. 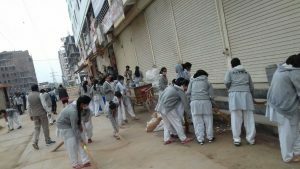 The cleanliness drive was first started on December 07, 2017 in landmark city in which many students came up to clean their locality. 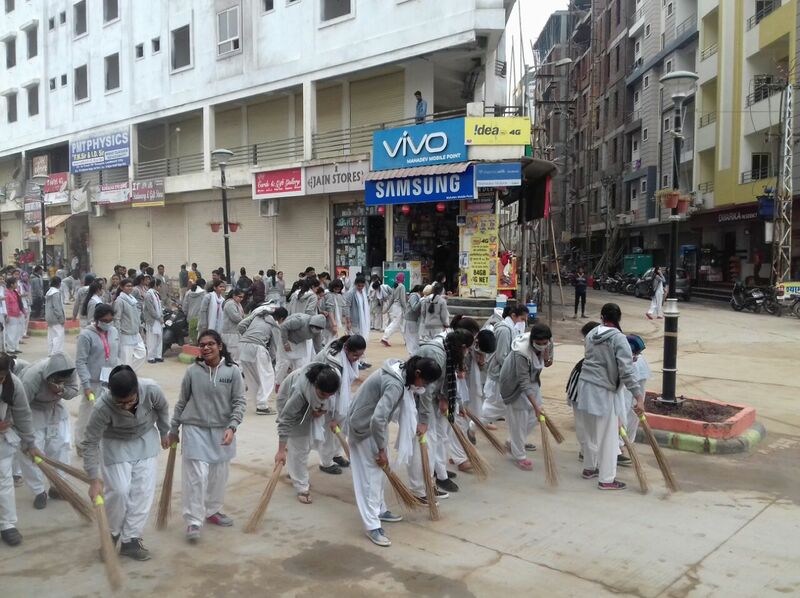 They took part with zeal and enthusiasm and picked up brooms and other cleaning tools to clean the entire area. 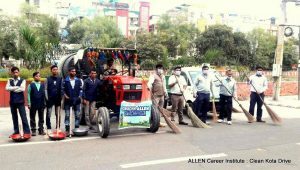 Director of Allen Career Institute, Rajesh Maheshwari said, “After successfully completion of the mega plantation drive Allen has come forward and taken an initiative to clean the city. About 90,000 students will take part in this drive and will be helping in cleaning the city”. The youths are the future of the country. So being a responsible citizen these students who are from different parts of the country would be volunteering to make the Kota city clean. The main aim of this clean-up drive is to motivate the people to take care of their surroundings. It is our responsibility to maintain cleanliness, whether it is our home, surrounding areas or whole nation. We need to take this cleanliness task as a challenge and initiate the process ourselves in order to motivate others and take them together for achieving the goal of the task. Involving the students in this task is a best way to ensure better achievement of the goal. Through this students will be able to know the value of keeping the country clean and green. This would become a great learning for them. In future where ever they go, they will take an initiative to keep their locality clean and green. Being a responsible citizen they will plant one tree every year and also keep their surroundings clean. We should clean our surrounding areas so that we can live in a healthy and clean environment.